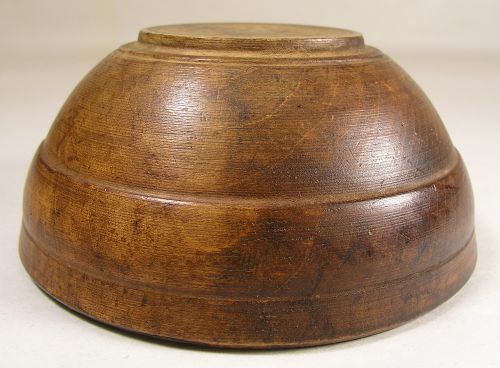 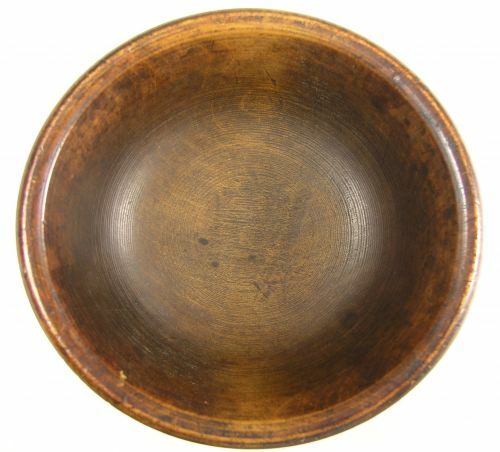 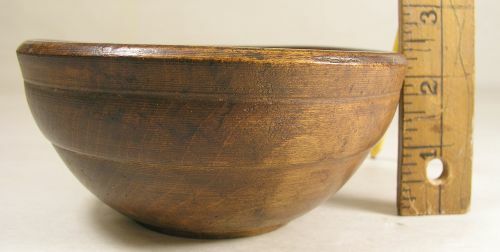 Wonderful 19th century miniature turned maple footed bowl with great old surface and shrinkage. 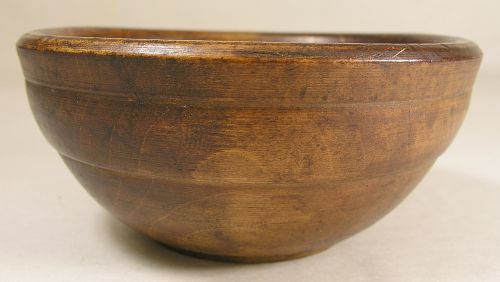 Linen fold turning near the top edge\r\nwhich is a nice touch along with a tall footed base. 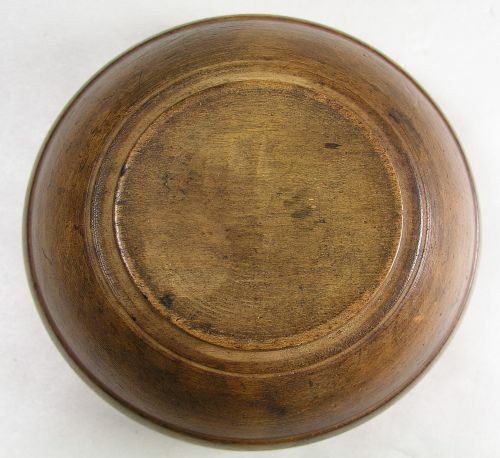 Dimensions: Measures 2.25â€ tall x 5.25â€- 5â€ across the top.